Months ago, I scheduled a trek to Everest Base Camp. By sheer coincidence, I wound up on the trail a few days after 16 Sherpas died in an avalanche on the mountain. My guide was himself a Sherpa, named Kami Tenzing Sherpa (the last name of an ethnic Sherpa is traditionally “Sherpa”). Kami lost friends in that avalanche, but he still wanted to guide me up to Base Camp, and that he did. We talked and talked. Kami told me that his life was one of crushed and fulfilled dreams. A devout Buddhist, he had dreamed of becoming a monk. His faith is different from mine, but in the two weeks we walked together I was stunned by his patience and kindness. I often saw him stopping along the trail to rescue a caterpillar or worm in harm’s way, helping flies in a restaurant find their way out past a window, playing with a toddler in a simple lodge or offering a candy bar to an old, half-blind American who was stumbling up the rocky path. But his dream of becoming a monk was crushed because his older brother insisted that he instead earn a living. Kami had another dream. He dreamed of going to school. (The late, great Sir Edmund Hillary devoted his life to building schools in the primitive Everest region after he and Tenzing Norgay Sherpa were the first to summit the mountain in 1953.) Kami is knowledgeable and worldly and even speaks English quite well, but his dream of going to school was crushed because his older brother forbade that, too. His final dream was not crushed. He dreamed of becoming a climbing guide. His father prohibited that on the grounds that the mountains are too dangerous. But when his father died, his career as a climbing porter and then guide was born — at age 14. Kami has climbed and guided countless peaks of the high Himalaya with that insuperable aerobic capacity of a man who was raised at 12,700 feet in a bloodline that has lived at such altitudes since migrating over the Himalaya from Tibet to Nepal about the time the Pilgrims were migrating across the Atlantic from England to America. When that avalanche buried Sherpas as they ported the loads of Western climbers through the notorious Khumbu Ice Fall, word traveled quickly among Kami and other Sherpas in their stone villages. Some friends and families were relieved to learn that those they loved were safe. But not the friends and families of the 16. Most of the bodies were recovered from under tons of ice, but several are lost forever to the glacier. One young Sherpa porter laden with a 50-pound load was spared by a margin of a few yards but saw his father taken. 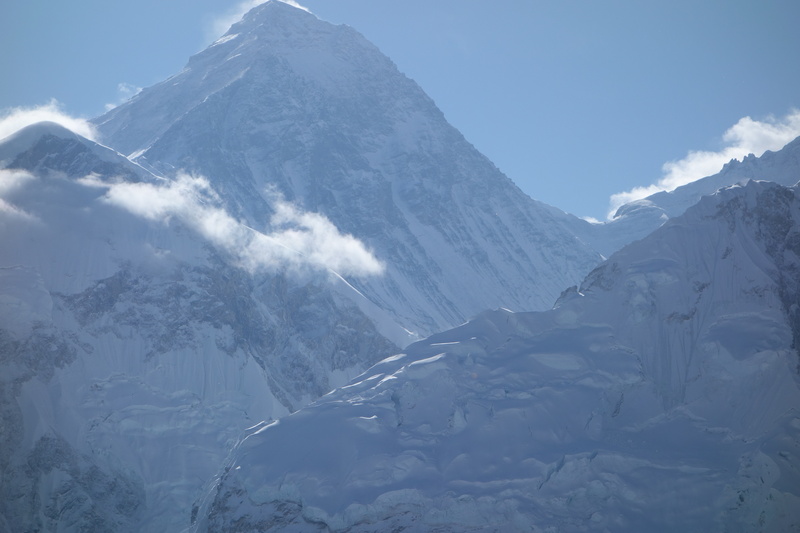 Everest Base Camp and a modern-day ascent of Mount Everest are peculiar, as I’ll describe in a later column. For now, suffice it to say that Base Camp is a tent city of a thousand climbers, guides, Sherpas, porters and support personnel perched improbably on a moving glacier at 17,600 feet. It is constructed each March and deconstructed each May. A fit climber requires 40 minutes to walk from one side to the other. After the avalanche, the Western guide outfits in the tent city of Base Camp were faced with the question: What now? Their clients had paid upward of $100,000 each for Everest bragging rights. One large outfit duly noted in its daily dispatches that there had been an avalanche and that Sherpas had died but that none of the dead was under its hire. It declared that it intended to resume business as usual within a couple of days. Another outfit chose a different and higher road. Adventure Consultants is a storied climbing-guide company based in New Zealand. It knows a thing or two about climbing and death on the mountain. Its owner and lead guide, the legendary Rob Hall, perished in a 1996 storm along with seven others. The incident was later the subject of several popular books (parts of which, some say, were unfair or even inaccurate). Adventure Consultants announced immediately to its clients in Base Camp, and to the world, that it was canceling its climb this year in honor of the dead Sherpas. As for the outfits that chose to continue climbing, they were ultimately thwarted. All 300-some Sherpas signed a joint statement that they were done working the mountain this season. Without Sherpas, the food and equipment of Western climbers could not go up the mountain. Without their food and equipment, the Western climbers couldn’t, either.